According to its own information and advertising material, Obesimed is a weight loss product whose aim is to provide a short term treatment for overweight adults and children over the age of 10. It is a non-prescription diet pill and it is aimed at people who suffer from mild to extreme obesity. It is classed as a Medical Device II, formulated under ISO quality standards, and conforms to 93/42/EEC directive. Basically, Obesimed is an appetite suppressant but according to its manufacturers it can help with eating disorders but there are no details on how this is achieved. While most commercially available diet products are not supported by clinical studies and are not clinically tested, Obesimed is produced according to certain strict medical standards but cannot be considered as totally risk free. As we mentioned above, Obesimed works as an appetite suppressant and its active ingredient is OMTEC 19, which is a fibrous substance which is not digested but can absorb large amounts of water, turn into a kind of thick gel in the stomach, and make you feel full during a meal and long after it. It can also help to slow the process of digestion and balance your eating habits so as to consume considerably less food and fewer calories while maintaining low cholesterol levels. 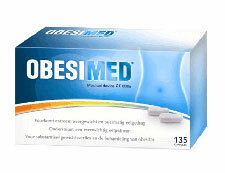 Obesimed has to be taken for 30 days, discontinued for at least 4 days and then resumed if necessary. 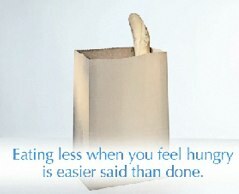 It is also advisable that dieters should change to a healthier lifestyle with proper diet plans and exercise regime. There are several side effects connected with Obesimed and most of them are related to intestinal complaints such as bloating, a slight diarrhoea, or an upset stomach. A more serious side effect is the lowering of the blood sugar levels, so it may affect negatively those suffering from hypoglycemia or diabetes. If you belong to this category it is advisable to seek medical help. Obesimed is undoubtedly an effective diet product but because it can cause such side effects that you may need the supervision and guidance of a doctor or GP. There are much safer slimming products on the market that can be taken without a doctor’s supervision and which can be equally effective. Obesimed is available from several websites but you can also find it at Healthspark. A month’s supply will cost you between £47 and £49. After years of research PhenQ has established itself as the strongest and most effective weight loss diet pill. It has the highest rate of re-orders and fast guaranteed results. 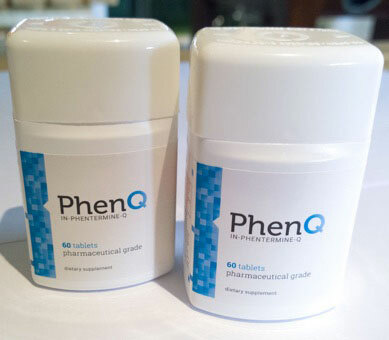 PhenQ is now recognised as the 100% legal substitute of the banned Phentermine, but without the nasty side effects.